Amanda Bryant is a highly accomplished hospitality professional, bringing proven leadership and strategic marketing skills to the team. As the Corporate Director of Sales and Marketing, she oversees all Strand sales and marketing initiatives. In her previous experience as Corporate Director of Sales and Marketing, Amanda acquired the knowledge and skill to develop successful selling strategies and marketing solutions, achieve revenue goals, and maximize profitability for Strand hotels. She has developed sales initiatives at independent and branded properties including Marriott, Hilton, Sheraton and Hyatt. Her awards include Top Room Revenue Producing Hotel for Embassy Suites in Schaumburg, Illinois. Amanda attended Elgin Community College in Elgin, Illinois. She currently resides in Greer, South Carolina. Julie Schlosser joined Strand in 2018 as the Director of Human Resources where she has already made a mark on the company by implementing new policies and procedures. Julie brings over 20 years of HR leadership experience to Strand, primarily in the hospitality and insurance fields, most recently coming from Blue Cross Blue Shield. She is certified as both a Senior Professional in Human Resources (SPHR) by the Human Resources Certification Institute (HRCI) and as a Society of Human Resources Management Senior Certified Professional (SHRM-SCP). Julie’s kindness and compassion undoubtedly makes her a great HR leader and has also led her life to the Dominican Republic where she spent a summer teaching English. She built her own house in Myrtle Beach where she has resided since 1997 with her husband, Al, and family. Michael Perkins brings more than 23 years of hospitality experience to the team, with over 14 years focused on Revenue Management at both the property and corporate levels. Working in primary and secondary markets, he has managed inventories ranging from 75 to 1200 rooms. Focusing on pricing, forecasting, inventory management, channel distribution and demand analysis enables Michael to develop sound strategies that are communicated to key stakeholders. Michael is a certified Revenue Manager for Marriott, Hilton and Choice Hotels in full and select service brands. As a Materials Science and Engineering student at Georgia Tech, Michael began his hospitality career in Guest Service and Reservations, subsequently transitioning into the Revenue Management field. Mitch brings to Strand his knowledge and experience of over 16 years in hotel maintenance & engineering and 40 years of construction work. He is ACA certified and has a sound understanding of maintenance laws and legal requirements of hotels including life safety and property maintenance. Mitch travels to all Strand properties to ensure setup of a complete property maintenance program, preserving the lifespan of equipment and investments. James has been with Strand for 12 years, starting as a General Manager and Task Force for the company and quickly moving into the Regional Director of Operations role for our North/Central Regions. Prior to starting with Strand, James had a background in food and beverage operations. He consistently leads his operations team to the top of Strand’s regions by empowering his team with trust and support. Several of James’ hotels have constantly been atop the Strand Hospitality scorecard and have won numerous company awards such as Hotel of the Year, GM of the Year and Director of Sales of the Year. He graduated from the University of Miami of Ohio with a psychology degree. James, his wife and three children reside in Charlotte, North Carolina. With over 20 years of hospitality experience, Jamie’s career began in Myrtle Beach, South Carolina where he worked at an independently owned 700-room resort. Since then he has worked with popular hotel brand families such as Hilton, Marriott, Carlson, Choice and Wyndham. His well-rounded career includes an Assistant General Manager position at the Hampton Inn & Suites by Hilton-Phillips Place in Charlotte, North Carolina. Jamie also served as the General Manager at the Hampton Inn by Hilton-Matthews, North Carolina and the Hampton Inn by Hilton-Charlotte Uptown. Most recently, he was the General Manager at the Hilton Garden Inn-Charlotte North. During his ten years at the Charlotte area hotel, Jamie led his property to win the 2009 Most Improved Hotel for the popular brand across the United States. As Regional Director of Operations for Strand Hospitality, Jamie now oversees hotels in South Carolina, North Carolina, and Georgia with hotel brands that include Hampton by Hilton, Fairfield Inn & Suites, Microtel Inn & Suites, La Quinta and Days Inn. He also presides over The Inn at the Crossroads, an independent boutique hotel and restaurant in Lake City, South Carolina. Originally from western New York, he now resides in Charlotte, North Carolina. 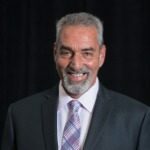 Michael brings over 25 years of hospitality experience to Strand Hospitality and has worked with hotel brands consisting of Hilton, Wyndham, Choice, Carlson, IHG as well as several prestigious hotels in New York City. Prior to joining Strand, Michael served as a regional director at Carlson Rezidor Hotel Group where he supported 48 hotels throughout Georgia, South Carolina and North Carolina. During his time at Carlson, Michael aided in increasing RevPAR and RGI, trained corporate staff, provided revenue management, and sales consultations as well as various other projects. He has also been a part of numerous hotel openings, and hotel renovation and repositioning projects. In his free time, Michael enjoys spending time traveling, relaxing with his family, and playing with his two dogs. He and his family currently reside in Marietta, Georgia . Brandon has had a successful history of revenue management, exemplary guest service and team retention as both a hotel General Manager and Task Force General Manager at Strand Hospitality Services. Prior to his promotion of Regional Director of Operations, Brandon was the General Manager of the Hampton Inn Charlotte/Belmont @ Montcross where he was responsible for staff recruitment, customer service and all of the day-to-day operational aspects of the hotel. During his time in Belmont, the hotel won numerous awards including prestigious Hampton branded Lighthouse and Circle of Excellence Awards. As a Regional Director of Operations, Keller will oversee hotels in Georgia, South Carolina and Missouri. When not working, Brandon enjoys spending time with his family, traveling, anything sports related and watching television. Tom Rost brings to Strand the knowledge and experience he has been building for nearly 30 years. His hospitality career began while he was in college at the University of Kansas. His work has been focused at hotels in the Midwest, including Minnesota, Montana, and South Dakota, and has extended all over the United States. Tom has developed key insights in management recruitment and development, brand relations and quality assurance. His experience includes work with Hilton, Marriott, Wyndham, Best Western, and Radisson brands. Properties under Tom's direction have been recipients of the IHG Torchbearer, Hampton Inn & Suites Lighthouse, and Courtyard Platinum Awards. Before coming to Strand, Tom was the Regional Vice President of Operations for Minnesota-based TPI Hospitality. He and his family now reside in Eastern North Carolina. Linda sparkles and shines with her sales team of the western region for Strand as a Regional Director of Sales. She brings with her 12 years of hospitality sales experience with a proven track record of success by winning hotel of the year, 3 years in a row, with HP Hotels. Linda never meets a stranger, which makes her a great sales leader; her ability to build trust, to salvage damaged relationships, and to win back loyalty transforms minimally producing areas into lucrative revenue generators. When she isn’t out making the world shine with her winning personality, Linda enjoys writing poetry and is currently working on writing a book. She is based out of our Charlotte, NC operations and lives just north of the city in Huntersville, NC with her husband, Preston. Brenda Ford joined our team in 2018 as the Regional Director of Sales for Strand’s southern region. She is never afraid to take on a new challenge, which shows from her 30-year background in the hotel industry. Her drive and ambition empowered her teams to win awards with IHG and Choice as well as three of her sales team members won best of the best awards with Auro Hotels. In sync with Strand’s mission statement, “Developing Prosperous Relationships”, Brenda believes that the personal relationships we build with our clients are the backbone to our success. When we take time to get to know our clients, they know we care about them and their business. When Brenda is not out dominating with her sales teams, she enjoys giving back to the community. She has led fundraising efforts for the Homeless Veterans Shelter and Cancer Walk in Atlanta, which is where she calls home with her husband, J.W. and their dog, Lucy. Suzanne Villani brings a new spark and perspective to the sales team for Strand Hospitality. With over 20 years of hotel sales experience, Suzanne has sales certifications with several Hilton and IHG hotel brands. She has had many successes during her tenure including opening of three new hotels in the Raleigh, NC area and most recently was the Sales Spotlight of the Year with Auro Hotels. Suzanne has brought her success in driving rate to the Strand team as Regional Director of Sales over our eastern region of hotels. Suzanne lights up a room with her winning personality and is never afraid to be different to get the job done. She enjoys travelling in her free time, mostly to the beach, where she visits at least once a month. Adding to our North Carolina team, she is based in Raleigh, NC, where she lives with her dog, Tigger, a german shepherd/greyhound mix.